Bonhams STOPS all rhino horn sales! This petition has been created by Alex H. and may not represent the views of the Avaaz community. The pressure worked! Early on 23 November 2018, Matthew Girling, Global CEO of Bonhams, announced on social media that "In future, Bonhams will not offer artefacts made entirely or partly from rhinoceros horn in its salerooms". We are delighted that Bonhams has listened to the international outcry and will ban all rhino horn sales. Well done everyone, and thanks for signing this petition. 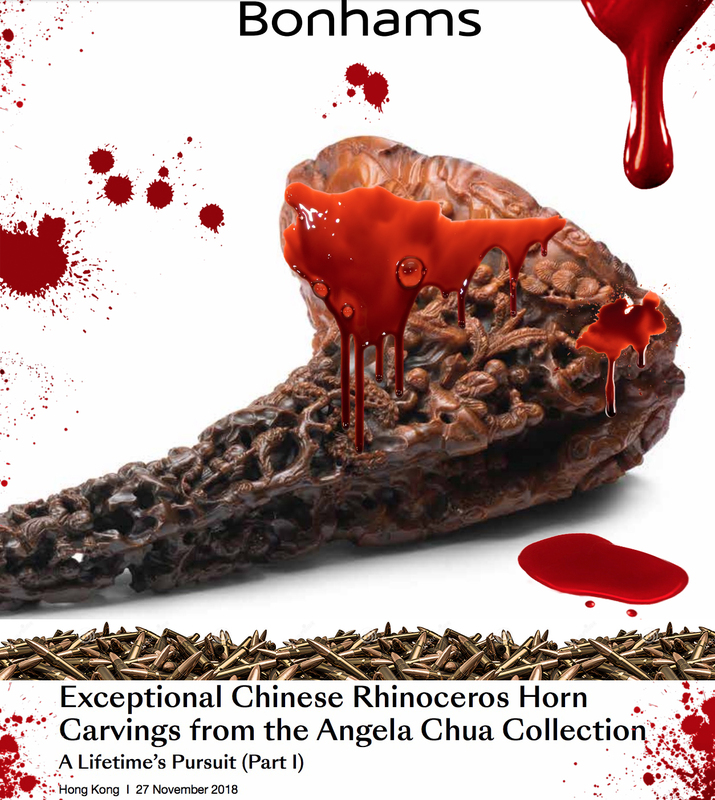 STOP Bonhams Mega-Auction of Blood Rhino Horns in Hong Kong! Bonhams auction house in Hong Kong plan to sell 21 "antique" rhino horns on 27 November 2018. A Chinese antiques expert has said that many of the rhino horns up for sale are not genuine antiques but are in fact horns from recently poached rhinos carved in an antique style. Bonhams upcoming sale sends a wrong message, is unethical, unsustainable, quite likely illegal and must be canceled. If the sale goes ahead it will only serve to stimulate poaching, trafficking and trade of Africa's last remaining rhinos. Rhino poaching rates remain unsustainably high, and even just a small increase in demand for "antique" rhino horn – caused by similar future sales – would push the species to extinction. In South Africa 1,028 rhinos were illegally killed in 2017 to supply rhino horn demand in China for "antiques" and traditional medicine. Please sign our petition to STOP THE HONG KONG BLOOD RHINO HORN SALE!